There are many ways to get “high” these days especially among teenage students. Alcohol and inhalants are one of the easiest substances to find as they are easily accessible and found in many household products. Alcohol and inhalant are hallucinogens and both depressants, they are often abused because of the psychoactive effects that they induce. Drugs such as amphetamines, marijuana, cocaine, and others can be inhaled, however, there are a specific group of chemicals categorized as inhalants. These inhalants and alcohol can lead to serious health effects. How does a combination of inhalants and drinking affect health? What is the statistics on inhalants and drinking? What are the signs a person abuses inhalants and alcohol together? Inhalants, when sniffed, suppresses the actions of neurons, inhibit nerve reactions and destroy structures of communication in the brain. They hinder the functions of various parts of the brain such as the cerebellum, brain stem, frontal cortex, and others. As both substances are depressants, the difference between alcohol and inhalants is the route of exposure and their source. Ethanol sources are beer, liquor, wine, and other fermented products while inhalants are from paint thinners, aerosol, oven cleaners, cleaning fluid, nail polish remover, petrol fuel, glue, gas (butane), hair spray, nitrous oxide, and alkyl nitrites or poppers. So what is the risk of combining inhalant and alcohol of various types? Glues come in various types depending on their components. 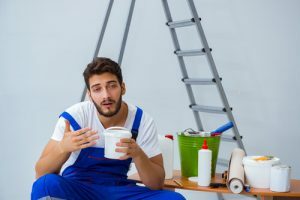 Those that are considered as strong adhesives and contain rubber can cause breathing problems, dizziness, unconsciousness, and toxicity when inhaled while drinking alcoholic beverages. Long term use can damage organs. The two substances are natural rivals as alcoholic drinks contain histamines and sulfites which can trigger asthma attacks, while inhalers contain albuterol sulfate which provides rescue effects for loss of breath. It should be noted that antihistamine mixes such as Claritin and alcohol are just as risky and dangerous. When both ethanol and inhalers are taken together, the alcohol amplifies the effects of asthma and can lead to death. Alkyl nitrates, also called poppers, are liquid chemicals which can be vaporized and inhaled. The actual liquid is poisonous and should never be ingested. Popper creates a relaxing sensation that loosens muscle contractions, causes dizziness, and skin flush. The risk of these inhalants mixed with alcohol is that the effects of alkyl nitrates are enhanced, causing nausea, increased blood pressure with a possible stroke. There is a myriad of compounds that are also categorized as an inhalant and are extremely harmful when mixed with ethanol, such as ammonia inhalants and alcohol. So why is it dangerous to mix alcohol and drugs? Besides inhalant, most drugs often have adverse reactions with alcoholic drinks. Pseudoephedrine and alcohol potentiate depression and impairment of psychomotor skill. Weed-infused alcohol creates a hyperactive effect which gives the user a psychoactive boost. Prozac and alcohol, on the other hand, sedate and impairs cognitive functions. These drugs are highly dangerous and affect the CNS as well as normal physiological functions. In the case of pain relievers being taken with alcoholic drinks, such as ibuprofen and alcohol, instant poisoning can result in intestinal bleeding, damaged kidneys, loss of consciousness depending on the amount taken and frequency. Statistics have shown that over 750,000 people use inhalants for the first time every year with the number of total users at 22 million (9 percent of the population) in the US alone. The ages of individual users range between 12 and above. About 58 percent of this population has reported first use at ninth grade. An NCS data report stated that 7.9 percent of students within the age range of 15 to 24 had dependencies on inhalants. Alcoholism, however, has recorded close to 88,000 deaths annually with the ratio of men to women is 3 to 1 approximately. In 2012 the global record for alcoholism deaths was 3.3 million. When a person starts to show these signs they may be “high” on inhalants and require medical help immediately to avoid critical conditions. Substances such as inhalants, hallucinogens, painkiller, stimulants, antibiotics and alcohol are dangerous individually and highly unpredictable when mixed. Inhalants are the easiest to find as they are present in every home, school, office and social gathering, hence, the tendency for abuse is greater. The risk of dependency to inhalant is small but dependency on alcoholic drinks is quite significant. 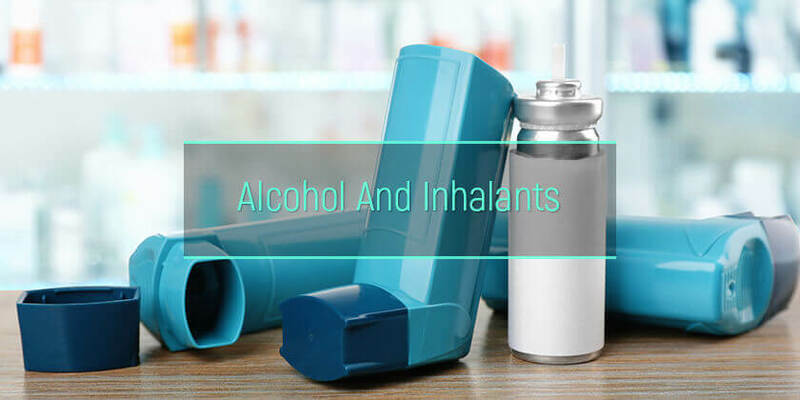 The best way to get holistic treatment from the effects of alcoholic beverages and inhalants is to find a medical rehab center or a clinic that specializes in health issues related to inhalants. Full recovery will require clinical programs, levels of detox, and medication.